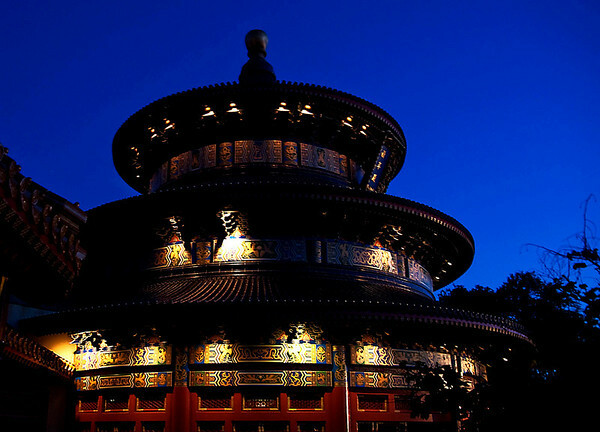 This Temple of Heaven is actually a complex of Taoist buildings in Beijing, China, built in the early 1400's. This building at EPCOT is a half scale version of a building called the Hall of Prayer for Good Harvest. The real Hall of Prayer for Good Harvest is the largest building in the Temple of Harvest complex.